Whether it's being part of a family, a circle of friends, a neighborhood, an organization, a country, or even a monthly book club, humans have this innate need to belong. Since we're all part of communities ourselves in one way or another, there should be no doubt in the power this sense of belonging has, especially when it comes to marketing. For example, notice how Apple's product launches consistently draw in lines of buyers around their stores, how Starbucks charges $5 for a cup of coffee when you can get it elsewhere for a fraction of the price, and how a world-class musician can round up his fans and create hype around a new album even before releasing it to the public. 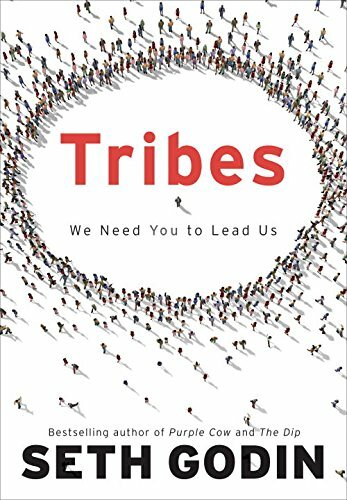 In his book, Tribes: We Need You To Lead Us, famed marketer Seth Godin highlights the power of tribes, how you and I could (and should) be leaders, and what it takes to create a movement. In Tribes, Godin says that you only need two things to form a tribe: a shared interest and a means to communicate, and take note that what separates a tribe from a crowd is the presence of a leader and a effective way to talk to each other. Today, it's even easier to form a tribe with the advent of technology but at the core of this, there needs to be a sense of caring. People part of a tribe need to genuinely care about something and this common interest is what connects them all. It doesn't matter that your tribe is small, Godin explains. A tiny but motivated group of people is much better than a big bunch of people with a weak connection. In fact, he mentions the widely popular article of Kevin Kelly, 1,000 True Fans. In this post, he explains that you need only 1,000 true fans to become "successful." These are the people who will travel for miles just to see you. These are folks who will stand in line to buy your pre-selling product. These are the ones whom you can serve to your best ability and in return, they'll be the most loyal and devoted fans you can ever have. In the online space, we have what's called a niche and you've probably heard of the saying, "The riches are in the niches." In other words, when you try to appeal to everyone, you end up appealing to no one. This is also why effective social media strategies shouldn't focus solely on numbers and "growing your following." It's much better to be concerned about engagement. Godin, who is a prominent marketer himself, emphasizes what the market wants and needs right now: more leaders. In fact, the market is craving for people to lead, to spread ideas, and to be remarkable. In a way, leaders are actually heretics because they upset the status quo, they lead people in a different direction, and they make and say things worth making a remark about. To be a great leader, the author says we need to be more like a thermostat, able to change and dictate the conversation, versus a thermometer which only tells or repeats what's out there. For this, leaders need to be willing to be wrong. He says, "The idea that wins is the one with the most fearless heretic behind it." He adds, "The secret of leadership is simple: Do what you believe in. Paint a picture. Go there. People will follow." According to the author, tribes are just waiting to be turned into movements. While tribes start through a shared idea, it turns into a movement when their common interest becomes a goal they are passionate about reaching, when it becomes their rallying cry, and when their idea transforms into a story they believe in and is something that's bigger than themselves alone. If we're to be leaders of these tribes, we need to make it easy for them. There needs to be fewer limitations to communicate with one another and even to recruit more people to join the tribe. We need to clarify who the tribe is for and what it represents, as well as who it's not for and the status quo it's trying to work against. We need to be transparent about our goals and intentions, and we need to encourage, support, and empower our tribe. Lastly, if you're still hesitant to form your own tribe, ask yourself, what do you have to lose? Why not you and why not now? In the end, we get to choose the people or tribe that we want to lead anyway but always remember that "people are most easily led where they wanted to go all along." Share in the comments below: What did you find most useful from this article/book? If you've read this book, what are your 3 takeaways? Want to read this book yourself? Or get two free audiobooks from Audible*. *Disclosure: These are affiliate links which means if you click and purchase, I may receive a commission at no extra cost to you. Since one of the best ways to improve ourselves is to commit to continuous learning, this post is part of the blog mini-series called 3 Takeaways where I share three insights from thought-provoking leaders, books, and podcasts on a monthly basis. My purpose initially was to simply read more books, but the learnings were too valuable to keep to myself. My goal has since been to share the vital lessons that will help you be productive and free.